Offering you a complete choice of products which include operator station, controlled operator station, stainless steel operator station and operator stand station. Standard Height 300 mm ~ 1500 mm in pitch of 100 mm. In order to keep pace with the ever-growing demand of our customers, we are involved in providing a wide assortment of Operator Station. As side walls are not removable, inner panel separation is not required here. Very special construction for operator ease in standing position. We are counted amongst the recognized organization offering of premium quality of Controlled Operator Station. Available in varied designs and look, the offered station is designed and manufactured using quality approved raw materials such as steel, iron bars, aluminium and various other heat and fire resistance substances. This station is extensively demanded all across the corporate world. Moreover, the offered station can be fabricated at affordable rates. 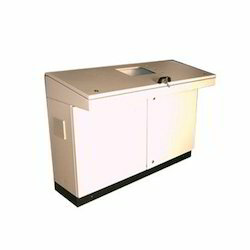 We are one of the noteworthy enterprises engaged in offering superior quality Stainless Steel Operator Station. This station is equipped with slots for network switches, routers, power panel, data cable and telephone line punching. Our deft professional's design and manufactured the offered station using quality tested steel, aluminium, rubber, heat sync and exhaust fan. 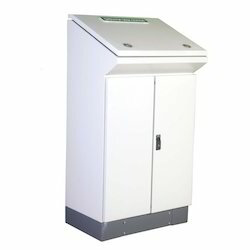 This station ensures complete electrical safety and data security to the clients. Also, the station is available at cost effective prices. With an aim to fulfil varied requirements of our valued clients, we are engaged in offering Operator Station. This station is ideal used and installed for clients who prefer long operation and comfort. The offered station is designed and manufactured by our experienced professionals using top grade steel and iron bars in compliance with current IEC 529 and BC5490 standards and can provide protection up to IP 55-67 industry trends. 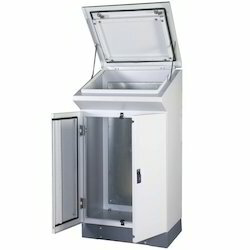 Available in different dimensions and designs, the provided station can be availed from us at the market leading rates. 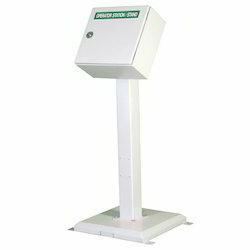 Our firm has gained continuous appreciation as the prime organization offering of Operator Stand Station. In line with latest industry trends, the offered stand is designed and manufactured using premium quality steel with the aid of innovative techniques by our adept professionals. 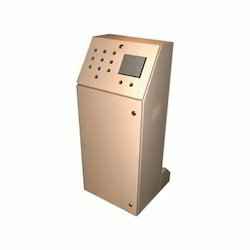 This station is highly demanded in commercial centres, corporate world and hotels. Available in diverse designs and structures, clients can ask us to install at affordable rates. Looking for Operator Station ?